Rachel M Gallagher graduated from Queen Margaret University, Edinburgh in 2007 with a BSc Degree in Podiatry. 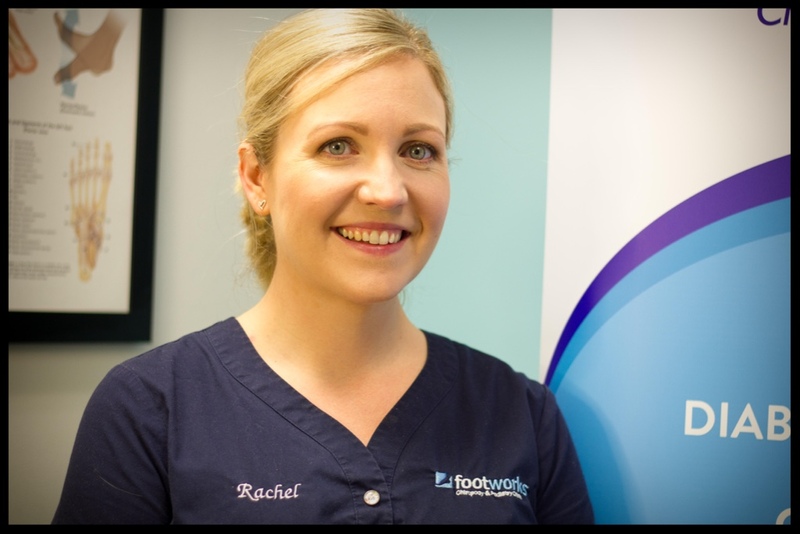 Once registered with the Health Professions Council & Society of Chiropodists and Podiatrists, Rachel immediately began work in the private sector, and is experienced in all areas of Podiatry and Chiropody, including, but not limited to: general nail care, hard skin and corn reduction, verrucae treatments, nail surgery and insole supply. At Footworks we also have a keen interest in Diabetic Foot Care, and offer full Diabetic assessment and routine check-ups to all diabetic patients attending the clinic. In 2017 Rachel completed a Professional Credit in the Management of Diabetic Foot Disease at NUIG, in order to provide our diabetic patients with the most up-to-date care. Geraldine McHale graduated from NUI Galway with her degree in Podiatry in 2018, and once registered with the Society of Chiropodists and Podiatrists of Ireland, she commenced working in private practice in County Galway. As a Mayo native, she was keen to work closer to home and joined Footworks in Summer 2018. 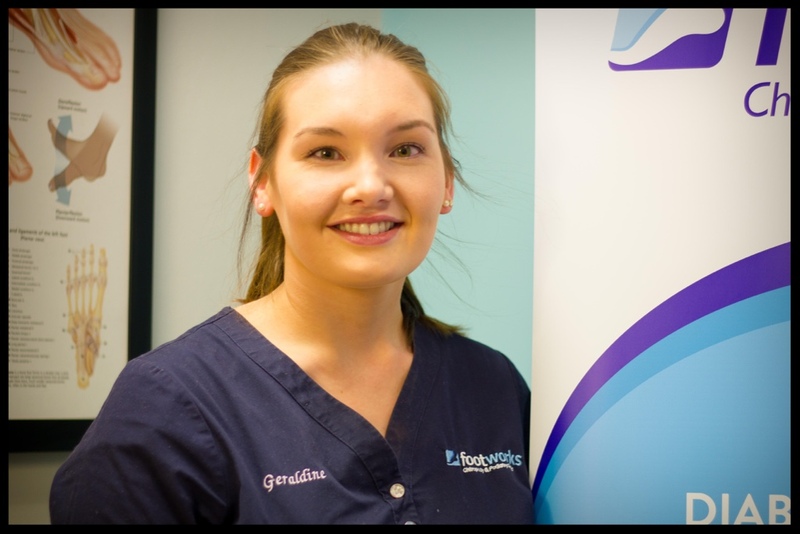 Geraldine specialises in routine podiatry treatments, diabetic assessments, wound care, and gait assessments. She recently completed training on nail reconstruction and has a keen interest in expanding her skill set. Geraldine offers appointments both in the clinical setting and within the community. The clinic has expanded into the local community providing a mobile service to nursing homes, district hospitals and Western Care service users, allowing access to care for people who may not be able to attend the clinic.